Anyone who is looking at adding a barbecue grill to a back patio or deck might be surprised at the cost. Many units are made of stainless steel and often cost a small fortune. A better option is to make you own as a DIY project. 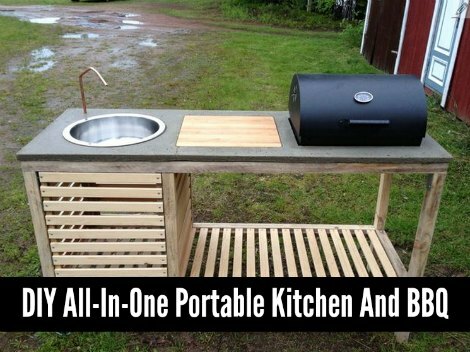 A sturdy frame is all you need to make a portable kitchen and BBQ at home. The key to making a portable kitchen and BBQ is in the details. You will have the option to add a variety of options like a sink, a countertop and a usable grill. The best part is you do not need any power as a grill can run on gas or charcoal.